October, 2013 | Sports Medicine Dr.
Dr. Stetson will be traveling to Cluj-Naapoca, Romania to represent the American Academy of Orthopedic Surgeons (AAOS) at an international education program sponsored jointly by the AAOS and the Romanian Orthopedic Society. This is the 15th Annual Romanian National Orthopedic Congress and the first time the AAOS has been asked to participate. Dr. Stetson, accompanied by Dr. Guido Marra of Northwestern University, will give a full day of lectures on basic and advanced shoulder surgical techniques. As chairman of the AAOS International Committee, Dr. Stetson will be representing the Academy to establish more programs in Romania and other eastern European cities during his visit. From July 29-Aug. 2, Stetson Powell Orthopedics hosted Dr. Semin Becirbegovic from the University of Sarajevo. 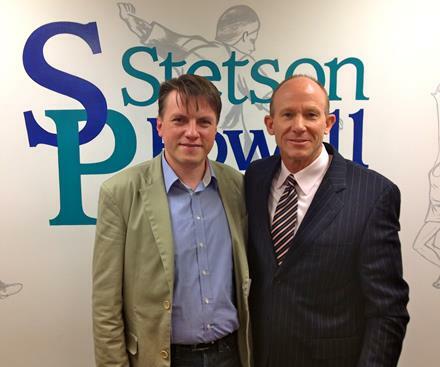 Dr. Becirbegovic was the recipient of the Stetson Powell – AAOS International Education Scholarship for 2013. He shadowed Drs. Powell, Stetson, and Lee for one week in the office and observed various arthroscopic orthopedic procedures in the operating room. Dr. Becirbegovic is interested in establishing a shoulder arthroscopy center at the University of Sarajevo and will continue to collaborate with our surgeons to reach his goal.